I am a Post Doctoral Research Fellow in Computational Biology working with Professor Andrew Leigh Brown and Professor Andrew Rambaut at Institute of Evolutionary Biology, University of Edinburgh. 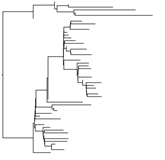 Originally a physicist, I converted to Bioinformatics in 2006 and have been evolving into my present role since 2007. 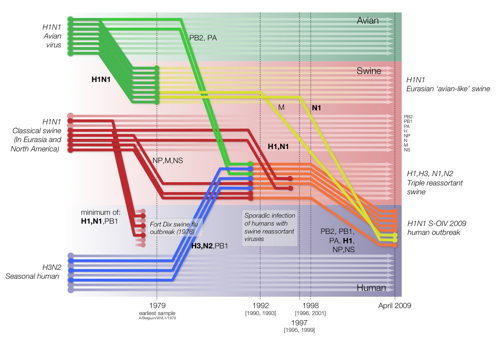 I am interested in the evolution and spread of fast evolving viruses including Influenza A viruses and HIV. 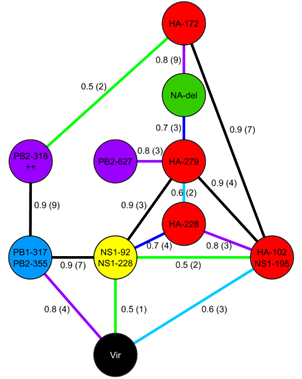 My research makes use of the large quantity of viral sequence data now available, and I apply machine learning techniques (particularly Bayesian Graphical Models) and bayesian phylogenetics to investigate genotype-phenotype problems, host adaptation, epistatic interactions, phylodynamics and phylogeography in avian, swine and human Influenza A viruses. 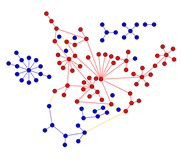 I am also developing computational techniques to extract transmission networks from HIV sequence data via time resolved phylogenetic trees, and the subsequent analysis of those networks in order to understand how best to combat the disease. Please use the tabs above, or links below for more details on my research and useful software.